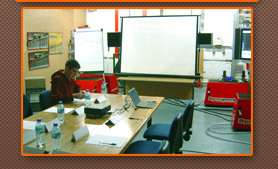 of our engine management courses. www.mee3d.com home | about | news | training | technical | diagnostics | car comparision tool | 4 wheel rolling road | contact us copyright © 2009 Cathal Greaney. 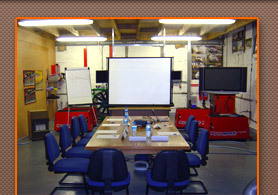 Cathal Greaney offers training for other tuning companies and motorsport professionals in both Ireland and the UK. This is a major part of our business, we have the expertise to be able to train motorsport professionals on how to map engine management systems in road and rally cars. Our mapping technicians and instructors are qualified up to degree or masters level, providing a more than adequate level of knowledge required. Courses T1 to T6 consist of three sessions, each lasting two hours. We normally hold these courses on Mon/Wed/Fri from 7pm to 9pm or if there is sufficient demand we hold the course over one day – usually a Monday. Courses P1 to P9 are practical courses and are done on our 4wd dyno. Some knowledge of engine management systems is required prior to doing these courses. Ideally you need to have courses T1 and T2 completed before doing one of the practical courses. T1/T2/T3 200 euro per person (max 10 per course). T4/T5/T6 250 euro per person (max 5 per course). For the practical courses, the student would normally have a car lined up which they intend to use during the course. eg. for course P1, students often use their own Toyota Corolla or Honda Civic (or a car belonging to a customer of theirs who wants to get the car mapped). eg. for course P6, students will often have a customers or friends Evo or Subaru lined up which requires a Motec ECU. By doing this, the cost of the practical courses will partly pay for themselves because you are getting a car mapped up which otherwise would cost over 500 euro to do.